Country Arts WA is one of the largest recipients to share in the $48 million allocated nationally for two ongoing projects supporting Indigenous arts, culture and languages. It will receive an additional $250,000 for the Aboriginal Art Centre Hub of Western Australia (AACWHA). This sum adds to the $122,900 allocated by the Office For The Arts (OFTA) last year for the 2012 and 2013 Sand Tracks Cross Border Tour initiatives. Sand Tracks Cross Border Tour is a remote Indigenous contemporary music touring initiative run by Country Arts WA designed to profile and further develop Aboriginal artists, build remote Indigenous and non-Indigenous audiences as well as build community capacity through the workshop component of the tours and increasing partnerships. “OFTA’s support through the Visual Arts and Crafts Strategy (VACS) Program is vital. It allows AACHWA to continue to provide high quality professional support to Aboriginal art centres while we also focus on developing strong foundations for governance of AACHWA as an independent Aboriginal corporation,” said AACHWA Coordinator Christine Scoggin in a statement. 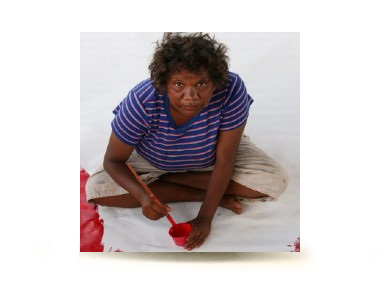 Supported by Country Arts WA, AACHWA is the peak advocacy and resource agency for seven Aboriginal art centres servicing 32 regional communities and over 450 artists. Its primary objective is to support and promote Aboriginal art centres in Western Australia with the aim of encouraging sustainable growth and stability. AACHWA supports the development of Aboriginal art centres by providing opportunities for professional development and by coordinating services and resources. This new funding will provide core support for AACHWA to continue to service these centres, communities and artists, while advancing the organisation towards being an independent body.